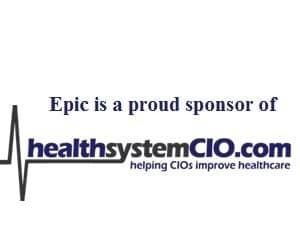 Cerner and Epic hospitals are leading the CPOE-adoption pack in an industry supercharged by the passage of HITECH in early 2009, according to a new KLAS report: CPOE 2011: The ARRA Effect. Cerner’s Millennium PowerChart has more hospitals live with CPOE than any other vendor in the study and has helped their customers achieve deeper levels of adoption, according to KLAS. An average of 81 percent of orders are being entered via CPOE in the Cerner hospitals that have gone live since 2009. Epic, with EpicCare Inpatient, ranked second in total live sites and had an average of 83 percent of orders being entered with CPOE. Both Cerner and Epic have approximately doubled their number of live CPOE sites since 2009. McKesson is “working hard to keep up,” making progress in CPOE with both its Horizon and Paragon customers and growing from 37 to 90 installations of Horizon at the end of 2010 with 45 percent adoption. Paragon has brought its first 11 sites live in 2010, achieving an average 25 percent adoption. “Siemens has apparently overcome Soarian’s past CPOE challenges,” tripling the number of live CPOE sites in 2009 and then tripling them again in 2010 for a total of 31 live sites. Also ranking in the report are Allscripts, whose Sunrise Clinical Manager (SCM) was an “early leader in CPOE penetration but has fallen behind in recent years;” GE Healthcare, “who has lost momentum in recent years” and added one CPOE site; and QuadraMed, who has added four sites in the past two years with both Affinity and CPR. The 2011 CPOE study features data collected from almost every hospital in the United States known to have gone live with CPOE in 2009-2010, according to KLAS.